In day to day life, there are many times when we come across printing, whether in homes or offices. In the highly digitalized world, the demand in the printing needs is large. Taking the example of an office environment, one or more photocopiers would be a must. Interviewsform the core of the business andbuild up a good employee base for the organization and only a large count of copies will have to serve the need of the hour. The printing needs are excessively high in the office, stretched up on the entire day. Even at home, having a small photocopier would be a good idea for generating whatever copies we might require so we do not have to go to the printing shop every often. A PhotoCopier Rental from VRS Technologies could be a thinkable option since we have a wide range of photocopiers as well as printers, always at the ready to serve their masters. As technology is evolving, these machines have started to develop more features like copying document in colour. Offices that are compelled by colour copying can grab a benefit from it. But a benefit with a photocopier does not end up so soon. The photocopier offers convenience in the usage as it allows generating the copies by feeding in the paper, turning on the machine and pressing the button and so evidently no technical expertise is needed. Irrespective of the size, the copies of a paper feed can be generated. • Owing to the multiple functions of the photocopiers, they handle multiple purposes and relieve the business from any work delay. • The photocopier is capable of printing on both sides making it economical, saving on the money going into trash. • There are businesses for which digital photocopiers can fill the vacuum of multiple functions like scanning and printing, especially that requiring high end quality. A digital photocopier would save space for you instead of having to fill it up with a number of photocopiers for multiple functions. If you can have one at home, you would not even have to throng the shop for these copies. Neither does it require waiting for the next morning, having no shops in the night. Looking for multifunctional photocopiers or photocopiers in bulk that are of high-end quality and perform well without obstruction? Be it the need for home, you would like to save money, we have photocopies waiting here to serve you. For small or big sized offices, we have a big number and fitting your budget requirement alongside. 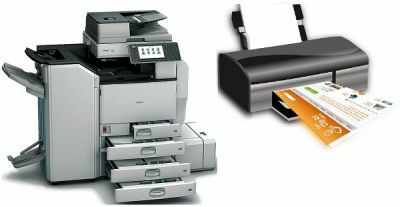 We are equipped with many kinds of printers and photocopiers which might fit well for the specific purpose and its size. Our collection of printers includes for home, office, or commercial purposes. If you would like to rent a photocopier, contact VRS Technologies at +971 55 5182748 or visit our website www.vrscomputers.com .